Former Conservative staffer Michael Sona is guilty in a plot to mislead Guelph, Ont., voters in the 2011 federal election, in what has become known as the robocalls scandal. But the judge says evidence showed others were likely involved. Former Conservative staffer learns fate 3 years after misleading robocalls in Guelph, Ont. 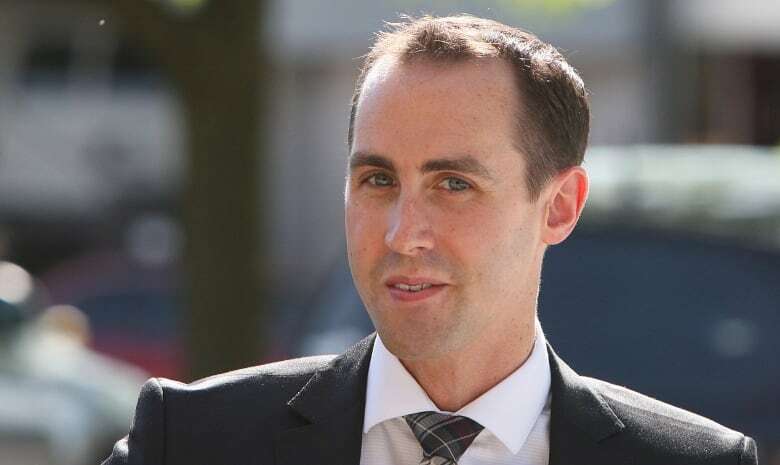 Former Conservative staffer Michael Sona has been found guilty of using misleading calls to send Guelph, Ont., voters to the wrong polling station the day of the 2011 federal election. Judge Gary Hearn of Ontario Superior Court said he is "fully satisfied" Sona at least aided or abetted those involved in what has become known as the robocalls scandal, though he added he believes Sona had help from one or more people. "The overheard conversations, Mr. Sona's inquiries of others, the matters set out in the agreed statement of facts and the disclosure in various conversations following May 2, 2011 are all factors that satisfy me beyond a reasonable doubt that Mr. Sona was involved with the creation and implementation of the scheme to direct voters to the wrong polling station on May 2, 2011," Hearn wrote in his verdict. "Although the evidence indicates he did not likely act alone, he was party to the offence and, as noted previously, there will be a finding of guilt registered." Hearn found Sona, the only person charged in the case, guilty of one charge under the Elections Act. Sona will be back in court on Oct. 17 for a sentencing hearing, shortly after his 26th birthday. He faces a maximum penalty of a $5,000 fine, five years in prison, or both. Outside the court in Guelph, Crown prosecutor Croft Michaelson said he was pleased with the verdict and the judge's reasons, but would not directly address Hearn's belief that Sona might not have acted alone. "We focus on one case at a time," Michaelson said when asked if he expected other trials. "I don't want to comment on what may or may not happen in the future." Michaelson also would not comment on whether the Crown would seek jail time for Sona. Sona's lawyer, Norm Boxall, was also asked about the judge's comment that others may have been involved in the scheme. He said the issue would "certainly" be raised at the sentencing hearing. Boxall said he and his client have not decided whether to appeal. "These are obviously difficult personal circumstances. It's extremely stressful for a young person," he said. The misleading robocalls, which went out to 6,000 voters in the southern Ontario city, were linked to a disposable cellphone registered under the pseudonym Pierre Poutine.It is illegal under the Elections Act to interfere with a voter's right to cast a ballot. The Conservative Party maintains it ran a "clean and ethical" campaign and was not involved in this plot. "Voter suppression is extremely serious and those responsible should be prosecuted to the full extent of the law. That's why we reached out to Elections Canada when we heard of wrongdoing in Guelph and did all we could to assist them," Conservative Party spokesman Cory Hann said in a statement after the verdict. "We spend our campaigns identifying supporters and working hard to get them out to vote." Justice Minister Peter MacKay declined to comment on the verdict. "I really have nothing to add. There was an individual who was identified, charged, brought before the courts. There's really not much more I can say as attorney general," he said. Frank Valeriote, the Liberal MP who handily won re-election in Guelph despite the robocalls, shares the belief that the scheme was much wider than just one junior Tory staffer in a single riding. But he doubts anyone will ever be able to prove it. "I don't think we'll ever get to the bottom of it," Valeriote said in an interview. The masterminds of the scheme "choreographed this quite nicely so that Mr. Sona has taken the fall," Valeriote said. Moreover, he said the Conservative government has thwarted further investigation on this and other cases in future by refusing to give the elections commissioner the power he sought to compel witness testimony and access detailed robocall records. Craig Scott, NDP critic for democratic and parliamentary reform, also said he believes the scheme goes beyond Sona. "I don't honestly think that people are going to look at the conviction of one person for aiding and abetting and not retain the fact that he must be aiding and abetting other people," he said in an interview with CBC News. Sona had been under suspicion since his name surfaced soon after the first media reports surrounding the probe, though investigators didn't zero in on him until later. Sona worked for the Conservative candidate in Guelph at the time of the calls. The Conservative Party won the 2011 election, but Liberal incumbent Frank Valeriote held on to his Guelph seat. In an exchange with CBC News, Michael Sona said he was "fine." "Still trying to process this," he said. Before appearing in court this morning Sona tweeted a link to a video of the famous final gunfight scene from Sergio Leone's The Good, The Bad and The Ugly, with the comment "that feeling."